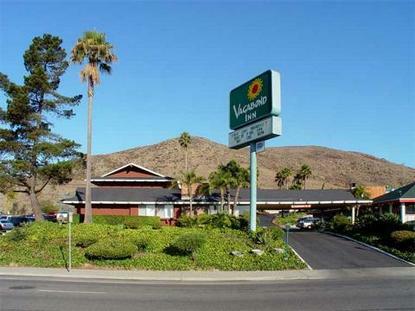 Vagabond Inn San Luis Obispo is located just off the 101 Freeway in San Luis Obispo, walking distance from the famed Madonna Inn and shopping. We are near Highway 1, Downtown, Cal Poly University- San Luis Obispo & wineries and are a short drive to Pismo Beach and Morro Bay. Each morning, we serve a complimentary continental breakfast and weekday newspaper. At the end of a long day, you can swim a few laps in our heated pool or unwind in our spa. For your convenience, some of our rooms are equipped with telephone data ports for Internet access. Whenever you stay with us, we'll serve you with our own brand of Western hospitality. Good value, friendly people- it's how we do things.